There is much more information on our Community Companies website on companies limited by guarantee, charities, Community Interest Companies and related matters. Why use a guarantee company? What is different about a guarantee company? Companies limited by guarantee are widely used for charities, community projects, clubs, societies and other similar bodies. Most guarantee companies are not-for-profit companies, that is, they do not distribute their profits to their members but either retain them within the company or use them for some other purpose. Most such companies need their articles to be drafted for that particular organisation, and this is the main specialised work to be undertaken. Community Companies CIC at registering such companies and their website gives much more detailed information. The main reason for a charity, community project, etc., to be a company limited by guarantee is to protect the people running the company from personal liability for the company's debts, just as a business may be set up as a company limited by shares for the same reason. Sometimes funding bodies, such as local authorities, insist on an organisation being registered as a company limited by guarantee. If a charity, community project, club, etc. is not registered as a limited company, then the people running it (typically the management committee, etc.) can be made personally liable for its unpaid debts. This can be a real risk. Some charities, community groups, sports clubs, etc. can be substantial enterprises, with liabilities that cannot easily be turned off. They may have leasehold premises, employ people, have equipment on finance contracts, etc. If the income does not meet these outgoings, the charity, etc. may become insolvent, and the people running it (though not usually the members at large who are not on the committee) can be made personally liable for the shortfall. This can happen because of unforeseen and unfortunate circumstances, such as the sudden withdrawal of financial support from a body such as the local authority. With a company, on the other hand, the company itself is a separate legal entity and it, not the people who own or run it, is liable for its debts. In a company limited by shares, the shareholders' liability is limited to the amount the shareholder has agreed to pay for his or her shares. In a company limited by guarantee, the liability is limited to the amount of the guarantee set out in the company's articles, which is typically just £1. In both a company limited by shares and one limited by guarantee, the people running the company (the directors) will only incur any personal liability for the company's debts if they have been guilty of some wrongdoing, such as wrongful or fraudulent trading. A company limited by guarantee is much like an ordinary private company limited by shares. It is registered at Companies House, must register its accounts and an annual return each year, has directors, etc. A major difference is that it does not have a share capital or any shareholders, but members who control it. See further on the Community Companies website. In a company limited by guarantee, there are no shareholders, but the company must have one or more members. Subject to any special provisions in the company's articles, the members will be entitled to attend general meetings and vote, and in most company's that means they can appoint and remove the directors, and have ultimate control over the company. Many clubs operate on this basis. The members meet at the Annual General Meeting and elect a committee to manage the club on their behalf, and subject to the rules in the club's constitution. If the club is a company, the same rules will apply and will be set out in the company's articles. By and large, the company law provisions relating to general meetings, resolutions, etc. in ordinary share companies apply to companies limited by guarantee. Just as in a company limited by shares which may have different classes of shares, it is possible to have different classes of members in a guarantee company. There may be non-voting members, for example, or members who have restricted rights in some other way. In a sports club, for example, there may be junior members (those under a certain age) who cannot vote, or social members, who pay a lower subscription but cannot use the sports facilities. A company limited by guarantee, as a private company, must have at least one director. Most guarantee companies have several. The directors may be given some other title, such a committee, management committee, board of managers, trustees, governors, etc. Whatever title they may be given, if they are in day to day control of the company they are in law directors of that company. Their powers will depend on the terms of that particular company's articles, but typically they are given very wide powers of management. Just as in a company limited by shares, these powers are conferred on the directors collectively, when they are sitting as a board and passing resolutions for the management of the company. They may, of course, set up sub-committees, etc. and delegate powers to them, and may give particular directors special responsibilities, such as treasurer, membership secretary, etc. In some companies, some or even all the directors may be appointed by one or more outside bodies, such as charities or local authorities who are backing the project. Some directors may be elected by particular interest groups. 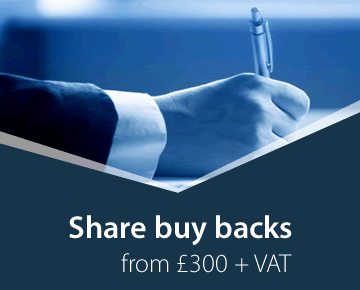 The fact that a company limited by guarantee cannot (now) have a share capital limits its fund-raising capacity, simply because it cannot issue shares to those who back it and join it. For this reason, some projects that are not essentially profit-motivated are set up as companies limited by shares. Many such companies impose subscriptions and/or a joining fee. A guarantee company can borrow money and may issue debentures or debenture (loan) stock. As there are no shareholders, it is not possible to own a company limited by guarantee in the way that a company with a share capital is owned by its shareholders. The members of the guarantee company control it, in the same way as shareholders control a share company, but they do not have any shares or other security in the company that they can sell to another. A company limited by guarantee is not prohibited from distributing its profits by the Companies Act or any other law, but it is commonplace for restrictions to be put on profit distribution in the company's articles. Such restrictions will usually apply both to profits while the company is running and to the distribution of assets (after paying creditors) when the company is wound up. In many cases, but by no means all, these restrictions are reinforced by a prohibition on any payment of salaries or fees to the directors. A not for profit company limited by guarantee can be exempted from having the word 'Limited' (or 'Ltd') at the end of its name if it is set up for certain objects. These are the promotion of commerce, art, science, education, religion, charity or any profession. A charity need not be a company, but can be set up with a trust deed, when it will be an unincorporated association. In England and Wales, charities (other than very small ones) are registered with the Charity Commission, who have regulated powers over them. If limited liability is sought, the body would have to be registered both as a charity and as a company limited by guarantee, and certain provisions (such as the restrictions on profit distribution mentioned above) must be included in the memorandum and articles. A charity will need its articles to be drafted specially, and this is the main specialised work in setting one up. Incorporation Services Limited have a guarantee company questionnaire for collecting the information required. If you complete this and email it to them, they will provide a firm price for the work involved in registering the company. A CIC is one formed for the benefit of the community. The two main features are the asset lock and the Community Interest Statement and Report. Under the asset lock provisions, the assets and profits must be permanently retained within the CIC, and used solely for community benefit, or transferred to another organisation which itself has an asset lock, such as a charity or another CIC. With every application to form a CIC, a Community Interest Statement must be lodged. This must certify that the company is formed to serve the community rather than private profit motives and must describe the activities of the CIC. A CIC may be limited by shares or guarantee. The registration fee is £35. They cannot be registered electronically as each company has to be vetted by the CIC Regulator. More details are available on our Community Companies website. For further information contact us. We are here to help.